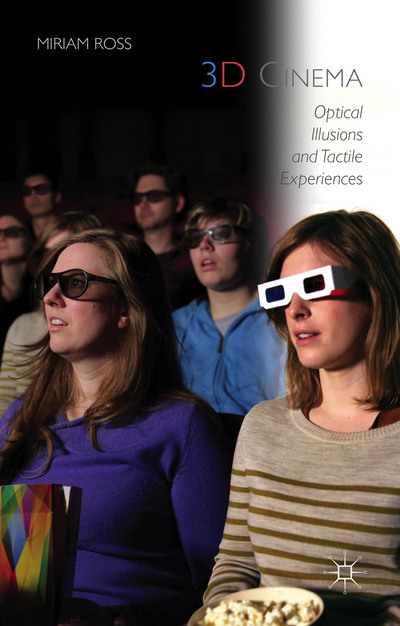 Although much of the research for the book was undertaken before I began this blog, my posts reflect the evolution of my thoughts on 3D cinema and some of this analysis made it directly into the book. When I began researching stereoscopic cinema in 2009 it was widely expected to be a passing fad with little more duration than the previous boom and bust periods of the 1950s and 1980s. In pub conversations I made various bets about whether stereoscopic cinema would still be around a couple of years later. In the half-decade since that point there have been numerous articles decreeing the death of digital 3D and the final demise of the format. And although stereoscopic cinema may shortly exit the commercial cinema arena once again, right now 3D films account for the top 7 films in Box Office Mojo’s worldwide grosses chart. Many blockbuster films in production or lined up for production in the coming years are going to be filmed in 3D or will have stereoscopic conversions. 3D cinema’s spread is global with many emerging movie-theatre markets such as Latin America and Russia at the forefront of upgrades to 3D screening technologies. There have also been many films made outside of global Hollywood including a recent surge of films from Asia. If 3D cinema is truly dying then it is taking a long time to do so. One of the most interesting things about researching the recent era of digital 3D cinema has been watching the polarised nature of debates on this topic. Strong statements are made in favour of or against stereoscopy. Some critics and filmmakers claim it is a gimmick and distraction that ruins the essence of cinema while others are certain that 3D will soon become the new norm on a par with colour and sound. Even those who take a more balanced approach often declare that there is a ‘correct’ way to do 3D cinema in order to avoid improper gimmicks and audience fatigue. It is this context that has produced exciting, charged discussion that asks us to consider not only 3D cinema but also the present and future of what cinema means to us. Although my book does not attempt to produce an historical narrative of 3D cinema’s development, it is concerned with articulating a longer and broader view of how stereoscopy has and continues to operate. In doing so, I hope I have been able to draw out some of the pleasures (as well as displeasures) involved in 3D cinema spectatorship in order to account for and understand why stereoscopic visuality has held a lengthy and reoccurring fascination for audiences.